On October 19, Sheikh Abdulrahman al-Sudais, the imam of the Grand Mosque of Mecca and the highest religious authority in Saudi Arabia, delivered a sermon and declared the Saudi crown prince Muhammad bin Salman as a renewer of religion whom all Muslims should obey. This move was in reaction to the accusations against the crown prince for his potential involvement in the brutal murder of journalist Jamal Khashoggi in the Saudi consulate in Istanbul. Muhammad bin Salman has been busy to create a religious establishment in accord with his political ambitions. He imprisoned several religious scholars including former imams of the Grand Mosque of Mecca for not fully submitting to him. The justification of the rulers by the clergy, though, is nothing new. In Egypt, when General Abdulfattah al-Sisi staged a coup against Egypt’s first democratically-elected president Mohammed Mursi, the Grand Imam of the al-Azhar University, the highest religious authority in the country, quickly backed him and kept his support even after the regime brutally killed hundreds and imprisoned tens of thousands. Why do the high-ranking Muslim scholars support the rulers even when the leaders commit to brutal atrocities? The support of religious scholars for the state is built on a tradition in the Muslim world that puts religion under the firm control of the state. From the time of the Muslim empires of the Ottomans, Safavids, and Mughals to the contemporary era, the Muslim rulers took religion under their control. Today, from Saudi Arabia to Tunisia, the mosques are controlled by the states, and the imams of those mosques are under the state payrolls. Regardless of whether a country is secular or religious, there is almost a consistent pattern in the Muslim world: the state controls religion, and in most cases, it pays the salaries of the imams and those who produce religious knowledge. In line with this political reality, the religious scholars produced vast literature that put the state at the center of their political theology. Scholars and imams call Muslims to obey the political leaders as a sacred duty even when rulers are excessively corrupted. They justify their support for the state with the motivation to prevent disturbance and sedition. Religious scholars bring evidence from Quran, prophet’s life, and the Islamic history to back up their state-friendly religious opinions. Then, a more critical question is: How did the tradition of loyalty to the state emerge in the Muslim world? In the very first centuries of Islam, Islamic knowledge was diverse and vivid. Most of the major philosophical and legal schools emerged between seventh and tenth centuries. The rulers at the time also attempted to monopolize the production of religious knowledge with the goal of putting religion under their service. But there were always centers of religious knowledge production independent from the state. Rulers imprisoned great scholars when they did not like scholars’ religious views, but the state could never take the monopoly of religious knowledge production. Things started to change after the eleventh century when the Muslim states opened schools to produce religious knowledge. Nizam al-Mulk, a very famous vizier of the Seljuqs, established institutions of higher education in major Islamic cities such as Baghdad, Isfahan, Nishapur, Mosul, Basra, and Herat. These schools supported the line of thinking that was preferred by the rulers and debunked the alternatives. Over time, the states took control of religious education and left little room to the private entities to play a role in this area. The intellectual debates slowed down after the twelfth century, and the Muslim world entered into inertia after the fourteenth century. A number of Sufi brotherhoods grew outside of the state purview; however, the mainstream production of legal and philosophical knowledge on Islam stayed within the control of the state-supported institutions of religious education. Further, most of the Sufi movements had a cooperative relationship with the state and embraced the state-friendly political theology produced in the state-sponsored institutions. The European colonization of the Muslim world undermined the legitimacy of the state-produced and state-paid religious scholars and yielded the emergence of Islamism as an oppositional movement. This development, though, was not enough for the formation of independent centers of religious learning. 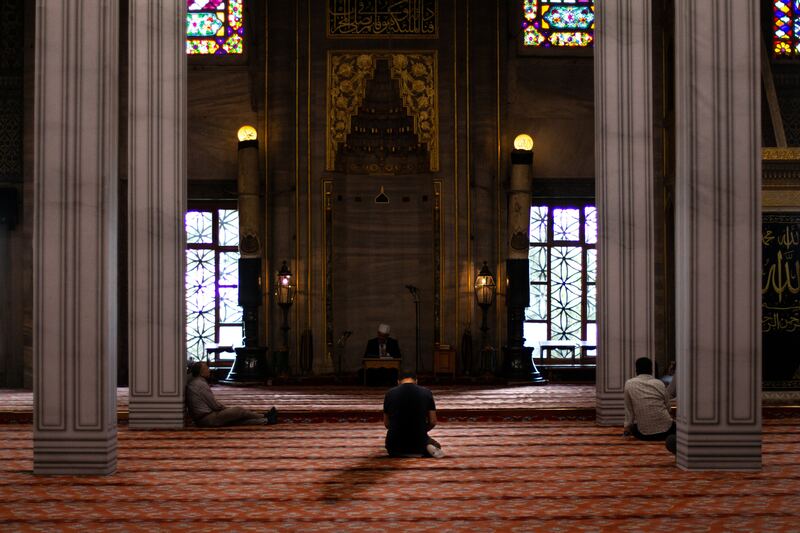 Islamist movements differentiated themselves from the mainstream religious establishment in the area of political mobilization, but they mostly embraced the religious knowledge produced over the centuries under the shadow of the state. The Islamists problematized who owned the state rather than the production of religious knowledge by the state-led institutions. For example, before coming to power, Turkey’s Islamist Justice and Development Party was critical of the state organ of Directorate of Religious Affairs because it monopolized religion for the realization of the state’s political agenda. After coming to power, though, the party consolidated the state’s control over the production of religious knowledge and used the Directorate in line with its political strategy. Further, religious movements, who used to distance themselves from the secular state in the past, were mostly tamed and put under the state control. Those who did not follow suit were marginalized, and in some cases criminalized. Religious education outside of the state purview is still illegal in Turkey; only the state can open schools to teach religion. While some scholars supported the state-centric political theology with the motivation to make the state the protector of religion in the late medieval era, this political theology eventually made religion the protector of the corrupt and authoritarian rulers. Islamic scholars, today, should remove the religious cover from the evil rulers and cease to become a collaborator for social and political failures in the Muslim lands.